Choice Office Equipment provides the industry’s most comprehensive line of award-winning low to high volume multi-functional products (MFPs). Noted industry analysts, technology publications, and even end users have recognized our products as innovative document solutions. These accolades reflect our continued commitment to improving and revolutionizing the industry. 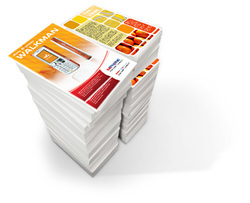 Our long-life consumables, reduced user maintenance, universal print driver, and network utilities, combined with legendary low total cost of ownership, have made us THE CHOICE in business. Click the images below for your area of interest.